State government owned all new buildings will come up on green building concept from now onwards. The state's public works department (PWD) has issued a notification on July 8 making green building concept mandatory to all new and renovated buildings of the government. "Big buildings are coming up with modern technology across the world. It is coming up as a challenge for environment. Around 40% power is utilized while construction. Various types of activities conducted during construction period cause around 50% air and water pollution, generate 50% chlorofluorocarbon etc. Over 50% of power is consumed for day to day activities in various types of buildings. Therefore, power shut down has become necessary," the notification said. The notification added that the need is to increase power generation that will come at an additional cost. "It will not be feasible and also disturb financial system if we increase power generation. Therefore, power efficiency is the only option left in current situation. 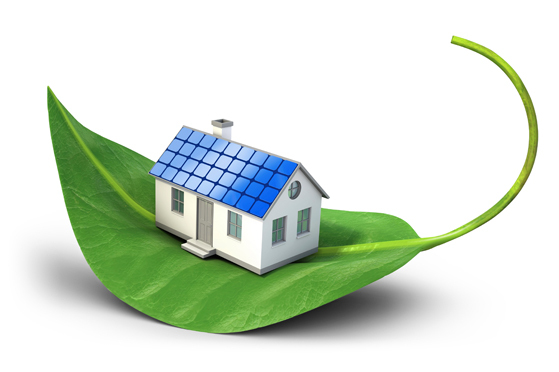 It has become very necessary to think on green building concept and make it mandatory for environment conservation and reduction in power consumption." "Designs and plan of all buildings coming under the jurisdiction of state government should be prepared on the green concept. Plan of renovation on existing buildings should also be prepared using the concept. Planning should also be done to utilize renewable free source of energy in the buildings from now onwards," the notification said. Directives have been given to all chief engineers of the state's PWD to ensure audit and certification of the buildings constructed on green building concept from Leadership in Energy and Environmental Design (LEED) or Indian Green Building Council (IGBC). Thus, all government administrative offices, government hospitals and dispensaries, auditoriums etc will be green buildings from now onwards. It was not clearly mentioned in the notification whether the civic body like NMC and civic agency like NIT can follow the same concept. The NMC and NIT prepare plans and cost of projects as per rates and policies finalized by the state's PWD. It will come up as a role model and also an encouragement for private sector. Sources from town planning department told that chances of green building concept being made mandatory for all new and renovated buildings in future cannot be ruled out. "Government is planning to introduce various types of emoluments for government or private establishments or individuals if they construct buildings on green building concept," the sources said. Very few buildings in the city are green building. A five-star hotel on Wardha Road is probably the first certified green building followed by one constructed by NEERI few months ago.